OverviewAre you looking for a stunning and luxurious Maserati vehicle near Calabasas, California? Then look no further than Maserati Westlake! We have an outstanding lineup of new and used Maserati models that are waiting for you. Visit our Maserati dealership to experience the Maserati Ghibli, an outstanding luxury vehicle that gives drivers a perfect balance of handling and comfort. The Maserati Levante is a gorgeous and refined luxury SUV. With all the sophistication that Maserati customers have come to expect, but also the power and utility of a great SUV, the Maserati Levante is a well-balanced machine. Finally, if you're looking for a luxury sedan, the Maserati Quattroporte delivers sophistication and class and is sure to turn heads on any street. Visit Maserati Westlake near Calabasas, CA today to explore the full Maserati model lineup today. 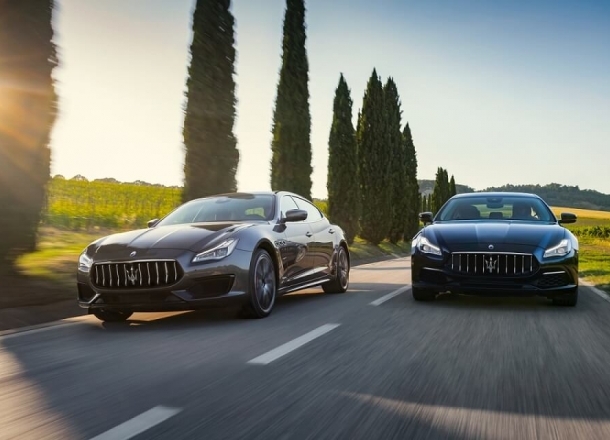 Lease a new Maserati model at your local Calabasas, CA dealership. At Maserati Westlake, we understand the level of quality and luxury that our customers expect from the Maserati brand. We work hard to make sure that our customer service reflects this standard in all aspects of our business. Our expert Maserati financial team is here to make sure that every customer leaves our showroom with a strategy that is right for them. This means discussing options like buying versus leasing, as well as the pros and cons of purchasing a new or used Maserati model. To learn more about our full range of automotive services, give us a call or visit our Calabasas, CA area Maserati dealership today. We look forward to speaking with you. Keeping your vehicle in excellent condition is one of our top priorities at Maserati Westlake. This means bringing in your vehicle for regular service appointments to check fluid levels, inspect the brakes, and make sure your tires are up to manufacturer standards. This ensures not only the longevity of your vehicle but also the safety of you and your passengers. To learn more about our expert Maserati service center, visit us near Calabasas, CA today!